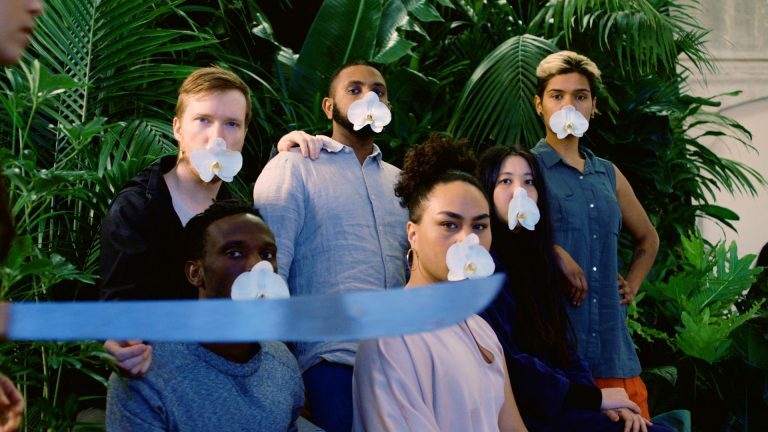 For the duration of Melbourne Art Week (30 July - 5 August), the Buxton Big Screen will be exhibiting The Fall by Angela Tiatia, a contemporary filmic interpretation of memories of the Fall of Singapore commissioned by the Australian War Memorial in 2017. The Fall is presented at Buxton Contemporary as part of TIME, a new site-specific video sector at Melbourne Art Fair, curated by Hannah Matthews (Senior Curator, Monash University Museum of Art) and Rachel Ciesla (Curator, Melbourne Art Foundation). The work focusses on particular moments from 15 February 1942, the day of the fall of Singapore. It is inspired by written and oral accounts of survivors of World War Two: soldiers, civilians, military and medical support. While researching these personal accounts in the National Archives of Singapore, I was struck by the difference between 'history' as told by historians - geo-political, contextual, global - and 'history' as told by the participants - intimate, personal, minutiae. It was the intimacy of the latter that has motivated me to make this work. A common event retold by many of the civilians and soldiers was the silence that fell over the city on the eve of 15 February and the following day of the ''fall' itself. For example, I found an account in the archives from Mr Rudy William Mosbergen, who stated that 'There was an eerie silence that fell over Singapore and we knew that something was wrong' and from Mr Charlie Hock Hye Gan, who stated that 'It was just very quiet'. In spite of the silence, there was an abundance of activity occurring as people went through feelings of confusion, fear, uncertainty and compassion. There were stories of burning: Burning to stop what was precious getting into another's hands; burning of money; burning of clothing; burning of family portraits. There were stories of abandon: Soldiers gorging on food, thinking it was their last meal; soldiers taking baths in water that had been saved in case of scarcity. There were stories of power and compassion: Cans of peaches being opened with a sword, and these peaches being fed to patients in hospital. The unusual nature of these activities set against the silence left a real impression on me. It occurred to me that when people are pushed to extremes, they react with extreme actions. My work responds to these stories, The Fall represents personal accounts through actors performing actions and gestures that depict these stories. My intention was to leave the audience with a moment and place to reflect. Even though Australians and Singaporeans have lived in a long period of relative peace, we now live in uncertain times, and the choices that we and our leaders make can have far-reaching consequences. To bring these consequences to life, we can reflect on the past experiences of individuals who have lived through great upheaval.